Skip Thanksgiving? Who does that–the Kranks? Actually, it can be pretty easy to miss out on the best day of November. Hallmark Channel’s been running Christmas movies since before Halloween, some folks put up Christmas trees before Thanksgiving, and many Black Friday and Cyber Monday deals even start on Thanksgiving Day! Of course, none of these things are wrong (binge-watching Hallmark movies is definitely a thing at our house), but Thanksgiving is worth doing for its own sake! There’s generally great food that’s served on the holiday, but it’s about more than just the meal. There are several strong reasons not to miss out when Turkey Day rolls around. I. Fall Leaves. At least around here in the South, Thanksgiving can feel like the last vestige of Fall. As all the brilliant colors of autumn leaves fade into browns, we start looking toward the next season. Before Fall leaves, though, take an hour to breathe in the last bits of it. Experience the rich color palate that’s only around for a couple weeks. Even appreciating the trees while you drive through town can be relaxing and reset your mindset. 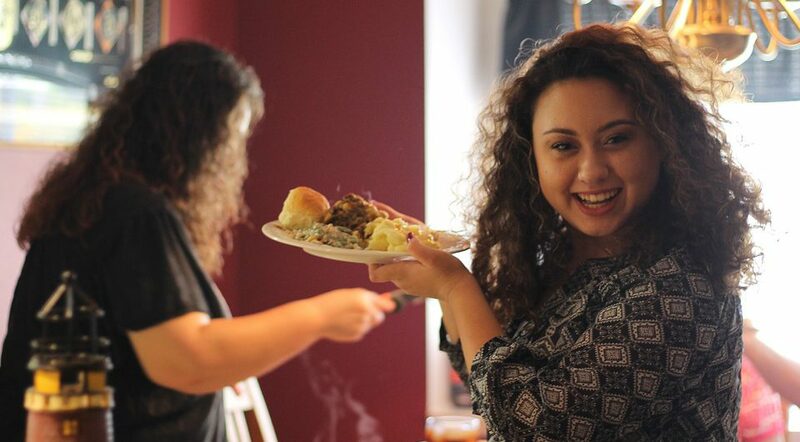 Thanksgiving can be a needed reprieve before winter’s cold sets in. 2. We Need the Break. Some of us are feeling a little anxious as we enter Thanksgiving. Busy seasons at work, visiting family members, and holiday gatherings can all take a toll. But for many people, the stress is much worse. Even if it isn’t yours, there’s likely a broken heart at your Thanksgiving table. For one of the members of my extended family, this is her first holiday without her mom. Thursday will be harder for her than I can imagine, but I hope it will be easier for her because of those she gathers with. If for nothing else, Thanksgiving brings us together to join in our sorrow–and our joy. Now that’s something to be thankful for. 3. It’s the American Ideal. I love learning from our country’s history. One of our brightest points is in the origins of Thanksgiving, as described here by Pilgrim Hall Museum. The Pilgrims were so committed to practicing their faith that they sailed across an ocean for it. Even so, they befriended the local Wampanoag tribe sometime after landing in Massachusetts, and after a hard-earned harvest, the Pilgrims feasted with them for several days. What an awesome moment! We don’t always get it right in America, but we can always try for that kind of greatness. Peace, fellowship, and unity are powerful ideals to carry into our Thanksgiving gatherings. There are certainly more reasons to treasure your Thanksgiving. Have one? Sound off in the comments below! Until next time, happy Thanksgiving, and stay artsy!